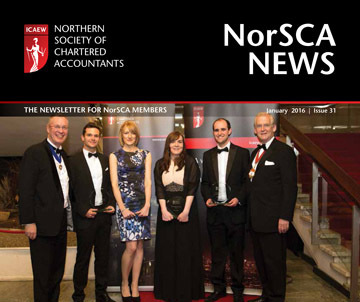 January 2016 sees the latest publication of NorSCA News issued to ICAEW members and ACA students across the north east, Teesside, northern Yorkshire and Cumbria. The latest magazine will arrive through members’ letterboxes during the first half of the month containing news of recent and future events of interest. Accompanying NorSCA News will be the latest hard copy publication Courses & Events which details all upcoming CPD training courses and events in the next 4 months in an easy to read format. 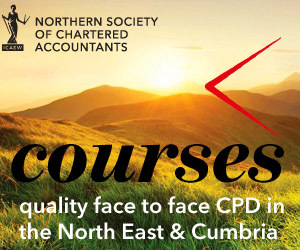 Information about upcoming courses and events can also be found in our events section at norsca.co.uk/events and you can keep up to date by following us on Twitter @ICAEW_NorSCA. You can also download a one page Northern Society Diary Card January to May 2016 which lists events confirmed when we went to press in late December 2015. Not received your copy of NorSCA News in the post? The ICAEW preference centre on icaew.com aims to assist members to receive information and events that they have expressed an interest in receiving. Members can choose from newsletters, finance & business topics, events, qualification & development programmes, products & services and local events. 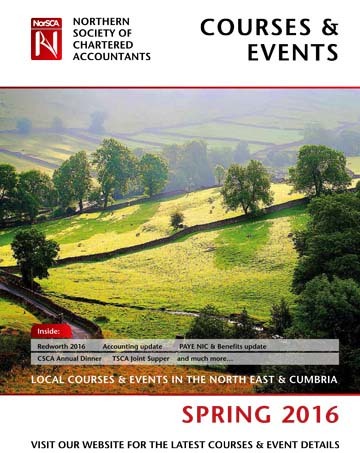 If you are currently not receiving NorSCA News and Courses & Events in hard copy through the post and you are an ICAEW registered member with a postal address in the north east of England, Teesside, northern Yorkshire or Cumbria you may need to update your recorded preferences. If your recorded preferences do not indicate a tick in the ‘Regional updates – news, courses and networking in your areas’ box you will not be receiving NorSCA News and Courses & Events through the post. You can change your preferences at any time by logging on to icaew.com/preferences. Your membership number is your user name. Alternatively call the Members Information Team in Milton Keynes on 01908 248250 and they will be happy to help you so that you can receive regional news in the North East and Cumbria.